CAH organizes its annual Christmas Sharing campaign to benefit seniors in need in the French-speaking community. 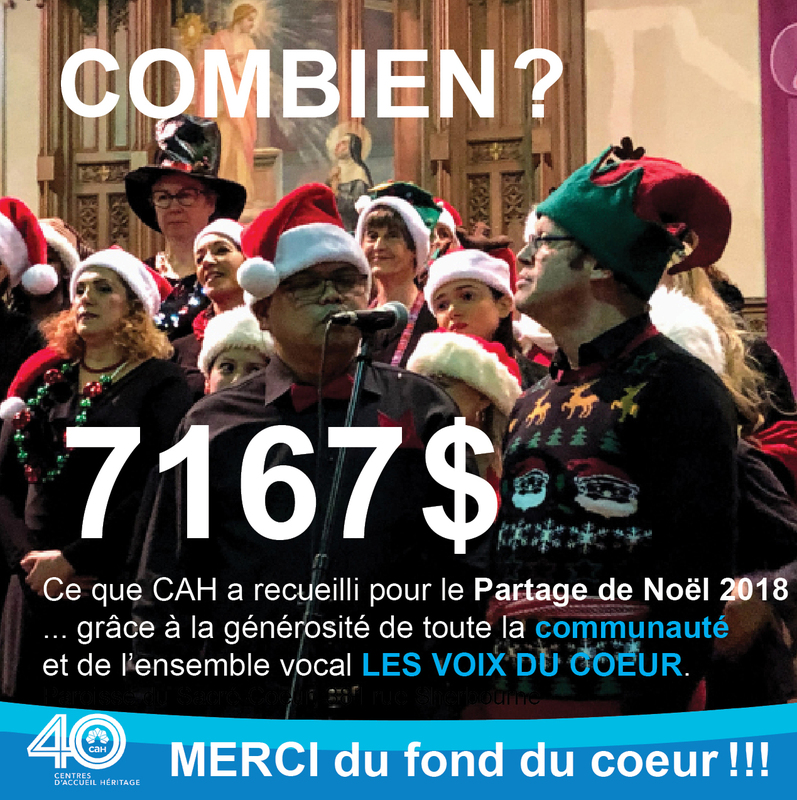 Once again this year, Ensemble vocal Les voix du coeur performed its beautiful holiday show (December 15, 2018, watch this excerpt) and offered all donations collected at the door to CAH! Thanks to you, they raised $1,842 (15% more than last year! )… to which the members of the vocal ensemble themselves generously added $1,280, for a total of $3,122! We usually continue to receive donations for the Christmas Sharing in the month following the show. 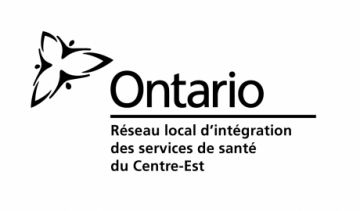 In 2018, donations exceeded the $6,000 threshold raised in 2017, for a grand total of $7,167. We can be proud! In the past year, nearly 90 seniors received grocery coupons; the rest of the money was used to provide basic necessities throughout the year, such as pairs of glasses, hearing aids and dentures to improve the comfort of the most disadvantaged seniors. • $30 allows a senior to enjoy the holiday season and buy a turkey and some food. • $50 allows a senior to purchase fresh products (meat/fish, yogurt) for two weeks. • $100 helps a senior cope with a particularly precarious period (for example, an unexpected medical expense) so that he or she can cover food expenses for a month. • $200 allows you to buy a pair of glasses and bring a precious comfort of life to the senior who receives them. How can you contribute if you were unable to attend the show? Click here: DONATE, then click Donate Now, the Christmas Campaign option will automatically appear or you can choose it from the drop-down menu. You will immediately receive your receipt for tax purposes.